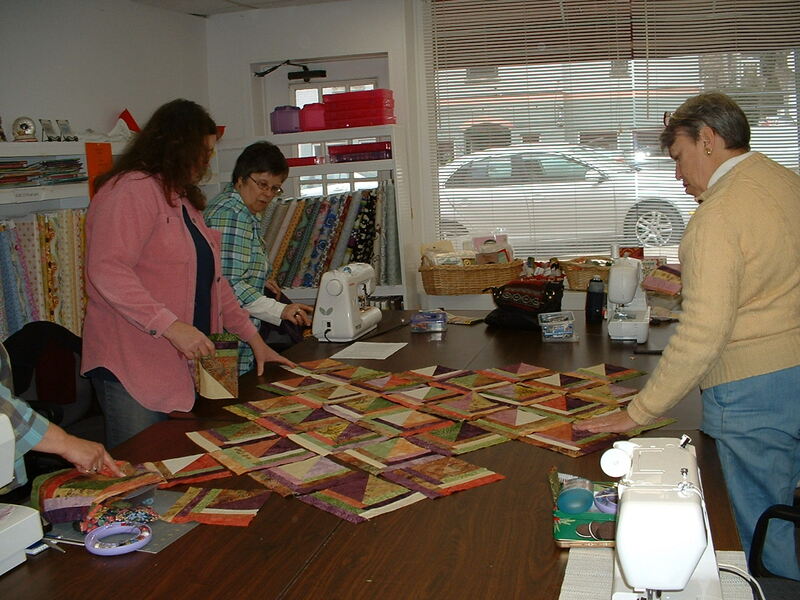 Hug Club is a group of ladies that meet at O'Susannah's Quilt Shop in Watkins Glen the 2nd Tuesday of every month except July and August to make quilts for people who have an illness, a death, or some other reason that they need a "HUG" to let them know that someone cares. 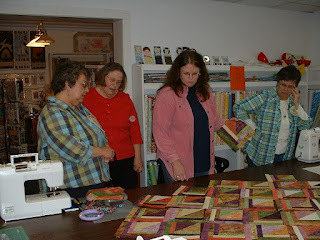 There are 7 regulars and 3 or 4 occassionals that get together to design and sew the quilt tops. 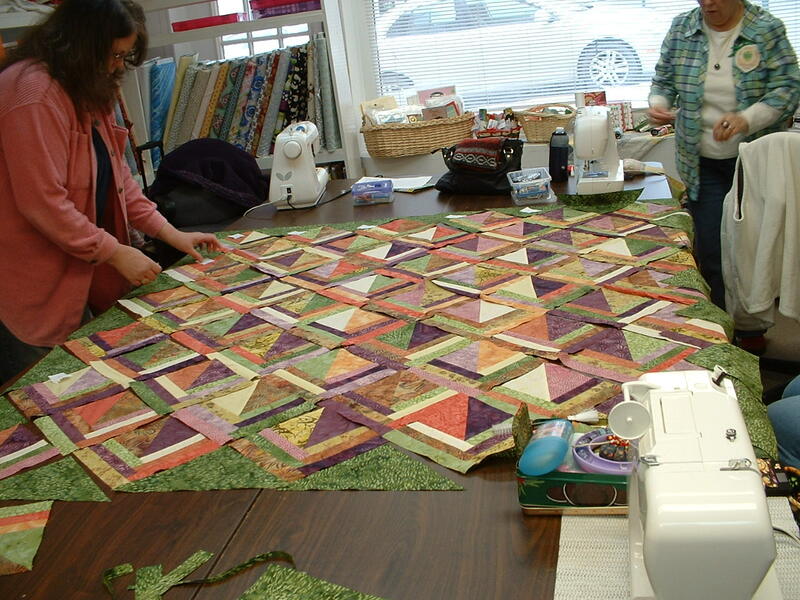 So far most of our quilts have gone to men, women, and children that have cancer, but some have gone to others that were going thru a bad patch in their life. 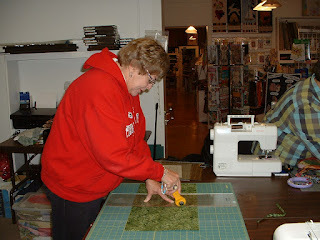 Today we finished 2 quilt tops and started and finished a new quilt that is going to a 3 year old girl whose leukemia has not responded to treatments and is going for a bone marrow transplant. These are the pictures of the tops we completed today and that are on their way to the quilter for some magic to be added. We have a great group of ladies who donate their time to make these quilt tops and Sue Knapp, the owner of O'Susannah's , donates all the materials for the quilt and has it machine quilted at her shop. 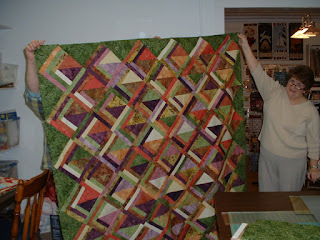 This is our 4th year making the tops, but we didn't take pictures the first year or so, so I'm not sure how many quilts we've done. 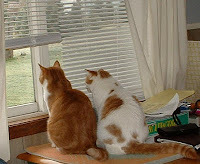 Hopefully we can continue as long as there is a need for the "HUGS" and the quilts. 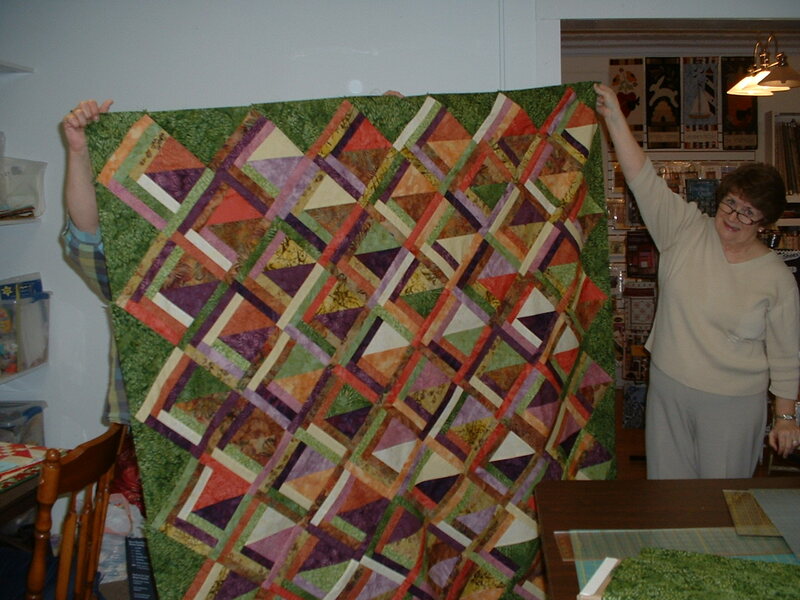 In the spring we put together a raffle quilt that Sue donated to the Watkins Glen Chamber of Commerce for a Habitat for Humanity raffle. Here are some of the pics from working on and presenting the quilt. I hope they made lots of money on it!